For best programming, AORN, the Association of PeriOperative Registered Nurses, Denver, CO, Susan Bakewell, accepting, has won a LERN International Award for 2017. This is one of the first programs in North America to move to blended or hybrid courses with the in-person component being complemented by an online component. LERN has repeatedly said, and we will continue to say, that all of us here in this room have to move our classes from being totally in-person to being a mix of in-person and online. This program created a curriculum, then positioned it successfully and has served thousands of nurses. 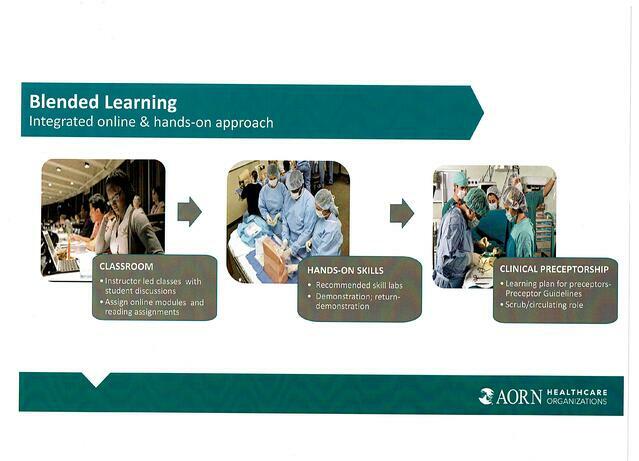 If you can do nursing online, and you can, you can do every subject as a blended or hybrid course.